Robert May was seven years old when Adolf Hitler gained power in Germany in 1933. Things were uneventful at first: People still shopped at his father’s dry goods store, he continued to play with the community’s children, their neighbors still acted neighborly. But things changed in 1935 when several anti-Semitic laws (known as the Nuremburg Laws) were passed. Discrimination became commonplace. Propaganda flowed throughout their hometown of Camberg. A main vehicle of the propaganda was the Nazi Party’s weekly paper Der Stürmer. The tabloid seemed to be everywhere. Each week the latest issue was plastered on a bulletin board located near his father’s store. Nazi Storm Troopers staged regular boycotts in front of the Mays’ business, and the family was banned from the neighborhood grocery store, a place where they had shopped for years. His oldest brother moved to France, while another left for Switzerland. An uncle moved to Holland. May told stories of survival and loss during Wednesday’s Brown Bag Lunch Series talk at the Birmingham Public Library. He remembers being taunted at school. The teachers were never mean, but the children were another story. “I remember two boys would throw rocks after school and call me a dirty Jew. I called them dirty Nazis. My parents, though, told me we did not do that,” he says. In 1936, when school became unbearable, May moved to Frankfort with an aunt to attend a Jewish school there. There, Mays encountered a challenging academic environment; his English teacher held a Ph.D. “I went from a small town to a sophisticated school.” He remained at the school until Krystallnacht, which is also called the Night of Broken Glass. On November 9 and 10 in 1938, Storm Troopers along with non-Jewish residents raided Jewish homes, businesses, and synagogues, breaking windows and glass, and destroying furniture. Thousands of Jews were rounded up. May and his aunt had been warned and were able to seek shelter. His parents were also warned in Camberg and sought safety in Camberg’s Jewish cemetery. After the terrifying event, May’s parents returned to the town and were placed in protective custody at the jail; however, they were released several days later and learned that their house and store had been demolished. In Frankfort, May’s apartment was destroyed, his school and synagogue burned down. May explains that the Nazis used the assassination of an ambassador by a Jew as a pretext for the violence. Safety for May came in the form of the Kindertransport. After Kristallnacht, the English Parliament passed a bill that would allow Jewish children under 18 from several European countries, including Germany, to enter England to attend boarding schools or live in English homes or farms. One catch though: The children had to come alone. In January 1939, May was sent to a Jewish boarding school in Brighton. His uncle in Holland funded his education. His parents joined him in England in September. A year later, on the eve of the start of World War II, May and his parents sailed for the U.S. He remembers other ships being torpedoed by German U-boats. However, they made it to Cuba, and then New Orleans. Mays attended Tulane at 16 in 1942, and started LSU Medical School in 1944. By 1954, May was a practicing OB-GYN in Birmingham. Not every member of May’s family was able to escape. His aunt who accompanied him to Frankfort was eventually captured and placed in a concentration camp where she died. His uncle who moved to Holland died at Auschwitz. His older brothers did make it safely to the U.S.
May says his experiences have taught him three things. Only in the US can a boy from Camberg become successful and have a family. Education helped save his life. Never again should anything like the Holocaust occur. The library, in conjunction with the Birmingham Holocaust Education Center, will present two additional talks on the Holocaust. Next Wednesday, March 19, Max Herzel will speak of his experiences in Belgium. 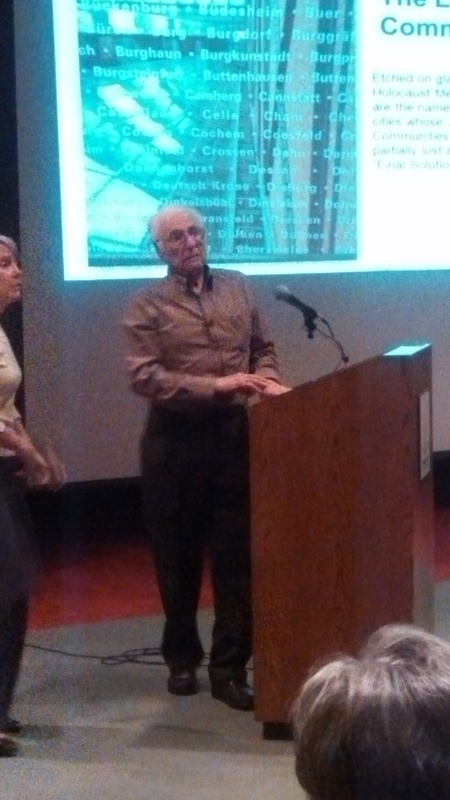 On March 28 a film, “The Path to Nazi Genocide,” will be shown. Each free event starts at noon. 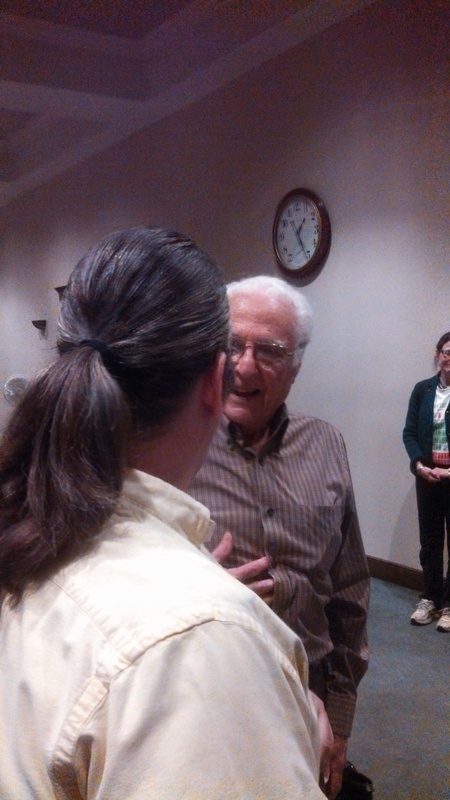 Dr. May chats with Billy Christie, a man he delivered in 1968. The first child born to Jefferson County early settlers John Smith and Sallie Riley Smith grew up to become a physician. Joseph Riley Smith would later marry and father 12 children, and in 1882, after he had retired from medicine, Smith became a merchant and real estate developer. John Witherspoon Dubose, in his 1887 book, “Jefferson County and Birmingham, Alabama: Historical and Biographical,” wrote that Smith was “probably the largest individual real estate owner in Jefferson County.” Smith later developed a suburb for black professionals on one large tract of land, and he named this suburb Smithfield. Those in Smithfield were often called a “Number One Black” since they were members of Birmingham’s burgeoning black middle class. A.H. Parker, principal of Industrial High School (which today bears his name), lived in Smithfield. However, with the passage of Birmingham’s race-based zoning laws in the early 20th century, by the 1940s, Smithfield, and surrounding areas, became ground zero in the fight to claim the American Dream of home ownership. It was not unusual for black residents to learn that houses that were once “black” were newly zoned for white residents or for them to be threatened if they dared to purchase homes on the white side of Center Street. Arthur Shores, NAACP attorney, sued the city numerous times to contest the zoning ordinances. In 1947, a court judgment allowed Samuel Mathews to purchase a home in North Smithfield. Not long after, Mathews’ house became the first one of many to be bombed in and near Smithfield. 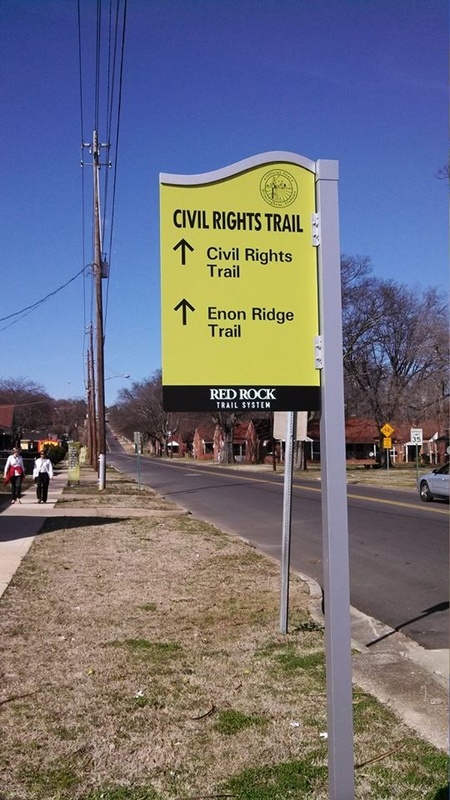 On Saturday, March 8, Rebecca Evans of College Hills, and a small crowd, stood in front of the Smithfield Public Library for the unveiling of a new extension of Birmingham’s Civil Rights Trail. Evans said she’s glad that now those who fought for fair housing are being remembered. The trail “will remind us of what we’ve been through,” she said. Her friend, Lois Packer, who is a member of Smithfield’s Thirgood Memorial CME Church, agreed with Evans and was excited that there is now a safe place to walk. “It’s a great thing, what’s happening. It says a lot about who we are now. It’s a blessing, and I’m so proud of everyone and what they’re doing,” Packer said. 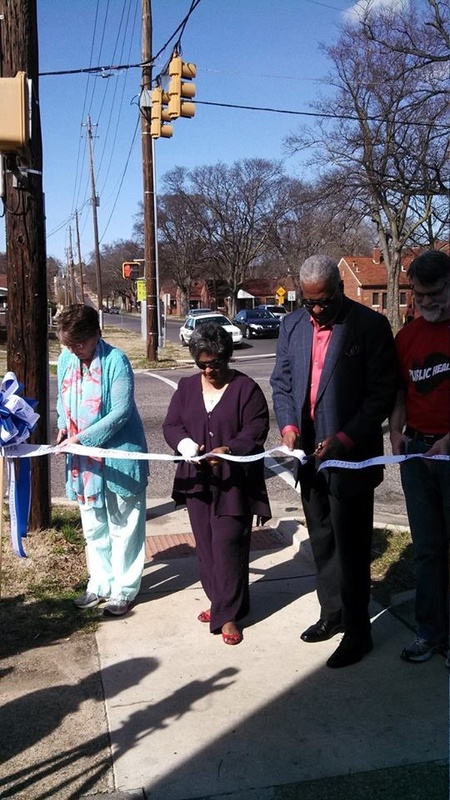 Birmingham Mayor William Bell led the ribbon-cutting ceremony that was also attended by Councilor Marcus Lundy, Barbara Shores, daughter of Arthur Shores, and Wendy Jackson, who is the executive director of Freshwater Land Trust, one of many organizations that collaborated on the project. 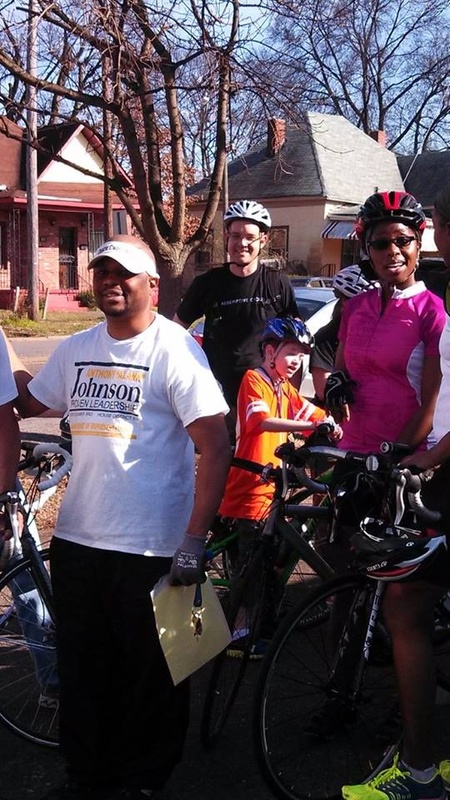 The 4-mile trail also winds its way through parts of the East Thomas and Enon Ridge neighborhoods. 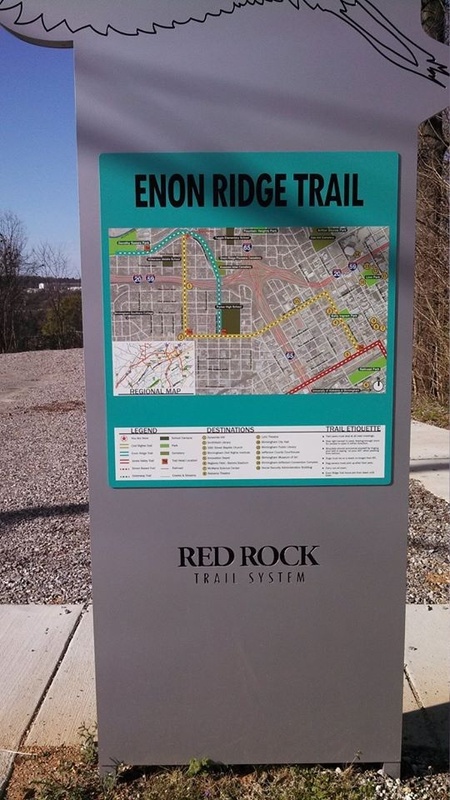 The trail, which is part of the Red Rock Ridge and Valley Trail System, was funded with $10 million from the federal TIGER program (TIGER stands for Transportation Investment Generating Economic Recovery). Several local non-profits, in addition to Freshwater, contributed to the project. According the Freshwater’s website, the Red Rock Ridge and Valley Trail System is a proposed network of more than 750 miles of trails, bike lanes and sidewalks that will connect communities throughout Jefferson County. Click to follow The Birmingham Buff and receive notifications of new posts by email. Enter your email address to follow The Birmingham Buff and receive notifications of new posts by email. Follow The Birmingham Buff on Facebook.